Custom Convenience Package|6-inch Rectangular Chromed Tubular Assist Steps! 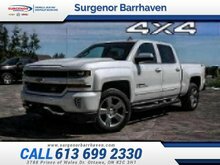 This silver ice metallic crew cab 4X4 pickup has an automatic transmission and is powered by a 5.3L V8 16V GDI OHV engine. Motivated by that strong motor it gets 15.0 L/100 km in the city and 10.7 L/100 km out on the highway according to Transport Canada. 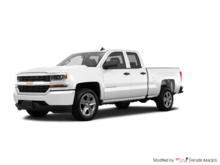 Our Silverado 1500's trim level is Custom. 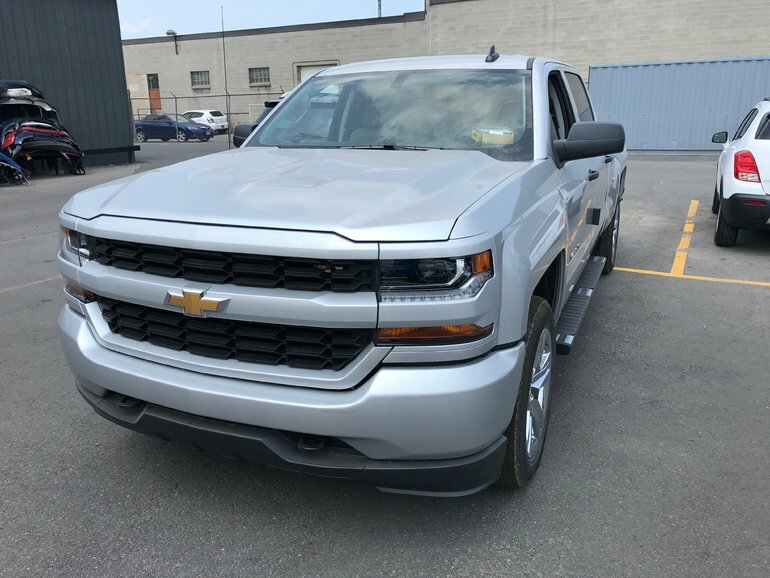 This Silverado 1500 Custom comes with aluminum wheels, a 7 inch colour touchscreen display with Chevy Mylink radio, bluetooth audio streaming, Android Auto and Apple CarPlay, air conditioning to keep you cool on hot summer days, CornerStep rear bumper, power windows and power locks, cruise control plus much more. 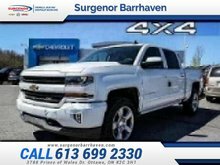 This vehicle has been upgraded with the following features: Custom Convenience Package, 6-inch Rectangular Chromed Tubular Assist Steps. Total rebate of $9968 is reflected in the price. Get up to 20% of MSRP Cash Purchase Credit on Now! 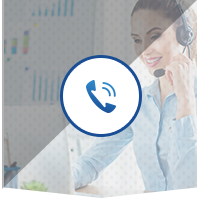 Incentives expire 2018-10-31. See dealer for details. 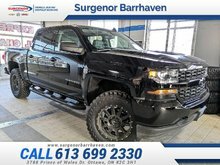 Ce véhicule, Chevrolet Silverado 1500 Custom 2018 vous intéresse?